Search results for "James Corner Field Operations"
Questions of environment, ecology, and climate have never more intensely occupied the cultural zeitgeist. 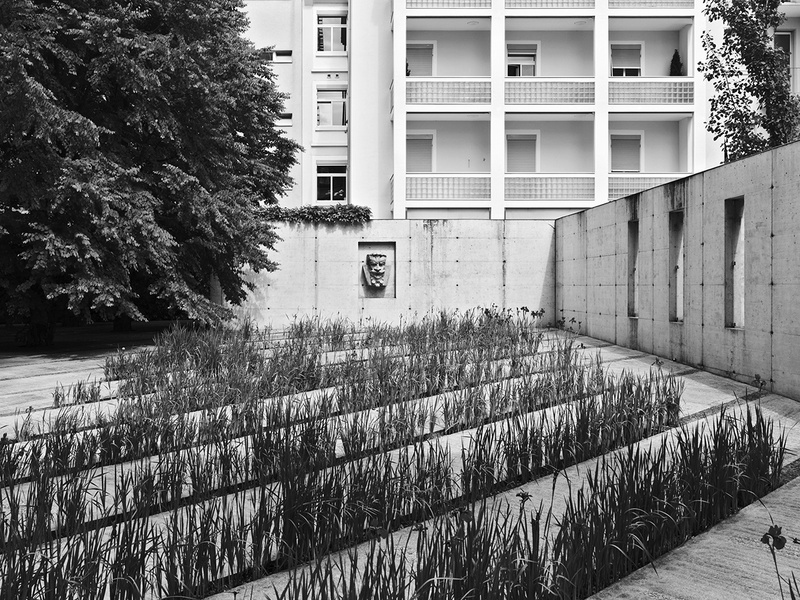 According to editors Christophe Girot and Dora Imhof of the ETH Zurich, as scarcity, ruin, and a siege mentality drove the functionalism that dominated architecture of the post-war period, the profession of landscape architecture is still in the midst of responding to a decades-long environmental crisis, and has produced similarly functionalist design. They suggest (as Elizabeth Meyer has for years in her Sustaining Beauty writings) that recent landscape architectural production is too highly conditioned by analytics, abstracted from site, and producing works that don’t rise above functionalist responses to an environment in peril. Thinking the Contemporary Landscape, a 17-essay collection, attempts to set up a discourse between opposing ideologies, such as science and memory, power and territory, fact and myth, in order to present an all-encompassing theory of contemporary landscape practice. While this endeavor ultimately frays, revealing the unlikelihood (or frankly, undesirability) of such unification, the book itself is a must-read for landscape architects and urbanists. The editors wittingly construct a discourse about a schism in modes of practice, a reaction perhaps to the dominance in recent years of landscape urbanism and its hybrids. Despite the foregrounding of an environment in peril, they react to scientific positivism by advocating for a return to aesthetics, poetics, myth, and meaning. The current volume suggests other new identities. If we are to believe Charles Waldheim, landscape architect equals urbanist. Waldheim and James Corner in particular are intent on fomenting this shift in perception; beseeching practitioners to take control of urban design territory (presumably, before the architects and urban planners beat them to it). Girot’s essay laments the modes of visualization epitomized by the “layer-cake” approach of Ian McHarg, author of the 1969 Design with Nature. He suggests that years of design with 2-D maps and collage have effectively broken down landscape thinking into abstract, and ultimately, meaningless, layers. Girot argues that the results of this diagrammatic thinking have stripped design of character, of local connections, and ultimately, of meaning. As a counterpoint, Corner argues for the preeminence of the plan, composite layers, and collage, suggesting they have the capacity to become “engendering machines” of “rich and unpredictable interactions,” a method that comes from ecology itself. Corner plays both ends of the spectrum, at once advocating for performance and form. In a mediated (and ultimately modest) position, Corner’s conception of “format” is hardly memorable. 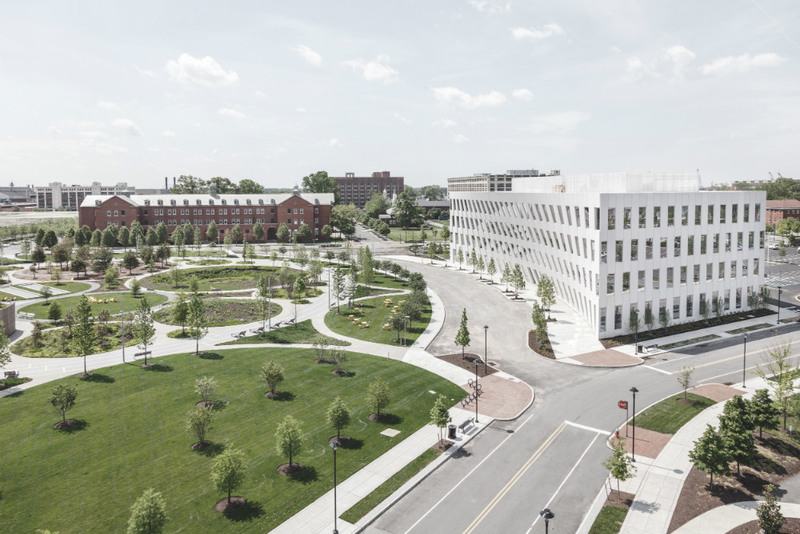 In the context of design reviews as long as six years ago, Corner declared that the University of Pennsylvania was about form and aesthetics, and Harvard was about performance. This dissonance of Corner’s recent commentary with his earlier writings manifests as some subconscious and uncoordinated id-war, a shift away from the working landscape and toward the “pictorial impulse” he earlier reviled (in New Operations and the Eidetic Landscape). Recalling David Gissen’s Subnatures, Vittoria Di Palma’s intriguing discussion of aesthetics engages the wasteland as site of primal disgust and ultimately, subversive aesthetics. 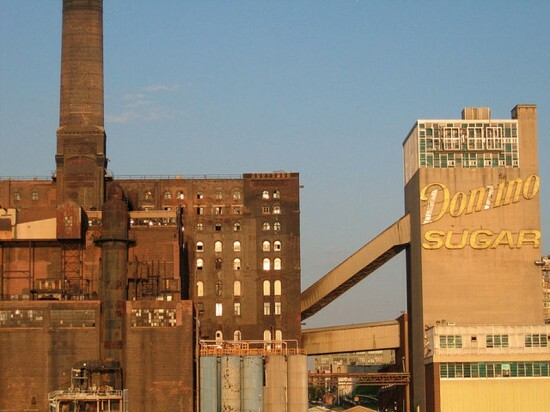 She revisits the picturesque and its power to give “a new prominence to aversive landscape,” (a topic explored by Robert Smithson in 1973’s Frederick Law Olmsted and the Dialectical Landscape), an apt aesthetic history to sample when theorizing the entropy, asymmetry, and gnarliness of the Anthropocene. Other contributors reject the editors’ prompt of aesthetics altogether. Notably, Kongjian Yu, a practitioner of ecological design in China, argues powerfully for landschaft or the working landscape, suggesting that “the quality and beauty of the landscape has been detached from the notion of a holistic land system for living and survival, and has now become high art landscape design exclusively for the pleasure of the urban elite.” In a similar vein, Saskia Sassen’s critique eviscerates the blunt hand of capitalism that is currently playing out in the form of global land acquisition. Rather than a clear way forward, the diversity of this volume evidences a fraught world in need of urban design leadership, solutions for the anxious environment of climate change, and rethinking the future of landscape’s territory and meaning in the 21st century. Seattle, Washington’s waterfront redevelopment, an endeavor James Corner Field Operations (JCFO) has been working on diligently for nearly a decade, is steadily moving closer to being implemented, as the $700 million project heads toward beginning construction this year. The development cleared a major hurdle in August when supporters of the project garnered over 80 percent of the cast ballots needed to reject an initiative that would have derailed the JCFO scheme. 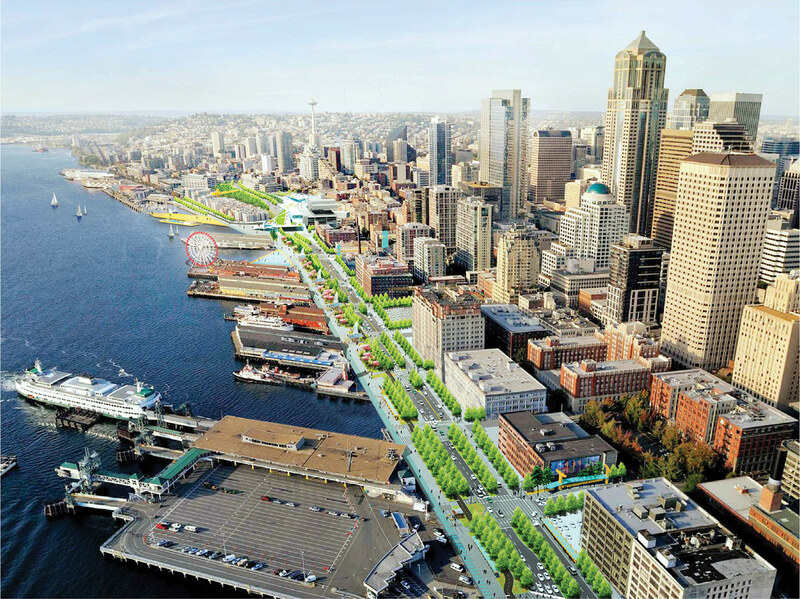 JCFO’s vision for the two-mile-long promenade would stitch together city’s burgeoning downtown with its isolated, post-industrial waterfront, converting the space currently occupied by the Alaskan Way Viaduct into a broad pedestrian-oriented waterfront park and roadway. The Alaskan Way Viaduct, built in 1953, is currently in the process of being replaced by a partially completed underground highway tunnel that would free up the city’s coastline for public recreational activities. The redevelopment will be funded via a new tax levied on downtown businesses and will continue a nationwide trend of replacing or repurposing aging infrastructure with a mix of public amenities and new development. Aside from creating a new recreational spine for the city’s downtown, the new route will also string together existing cultural destinations along the waterfront like the famed Pike Place Market to the south, the Bassetti Architects–designed Seattle Aquarium at its center, and the Weiss/Manfredi Architects–designed Olympic Sculpture Park to the north. 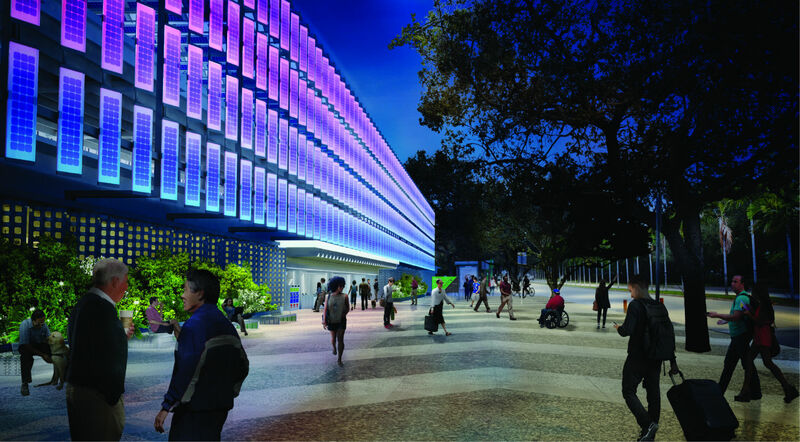 Charles Anderson Landscape Architecture was a landscape architecture consultant for the project. The aquarium, built in 1977 on the waterfront’s Pier 59, can currently only be reached via a disruptive landscape of viaduct overpasses and parking lots. In the new plan, it will be located at the end of a broad public plaza accessible by a scenic lookout designed in concert with the waterfront scheme, reconnecting it to the city center. JCFO’s redevelopment plan would also connect to the iconic Olympic Sculpture Park located at the northern edge of the development, connecting the city’s network of bicycle and walking trails, currently divided between north and south, together along the waterfront. TenBrink described the history of the waterfront as something that has “constantly evolved” over its transition from native habitat to industrial area and transportation corridor. In the near future, Seattle’s waterfront will transform once again to become a line between the “pristine nature of Pacific Northwest and a very manufactured (urban) landscape,” said tenBrink. Another major and partially completed component of the project entails rebuilding an existing seawall used to mitigate Puget Sound’s constantly fluctuating tides. 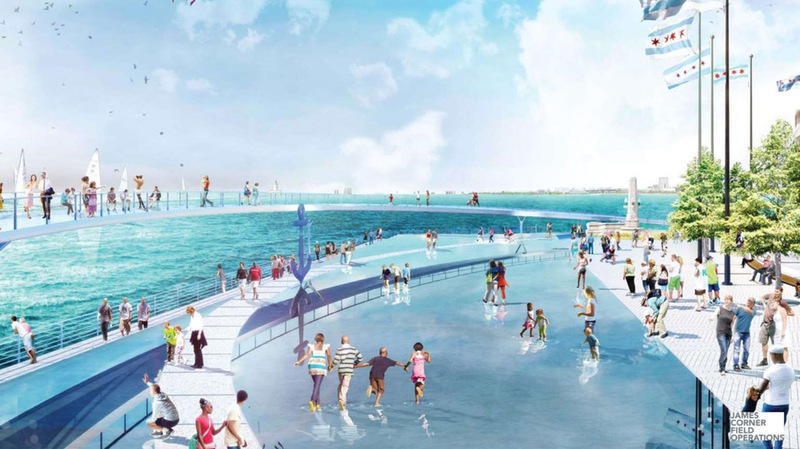 Between epic “king tides,” monthly lunar tides, and other seasonally variable waves, the water’s height can vary by as much as 12 feet, so the design team has deployed specially-designed panels, some codesigned with local artists, to create spots for tidal wildlife to live and grow. The wall also marks the area’s mean, low, and high tides and contains walkway areas with embedded glass blocks that allow for daylight to permeate the water, as to not disrupt sensitive spawning grounds. The remaining areas that feed into the promenade and roadway will also receive improvements to their streetscapes in order to facilitate the pedestrianization of surrounding areas while also inserting key landscape components. 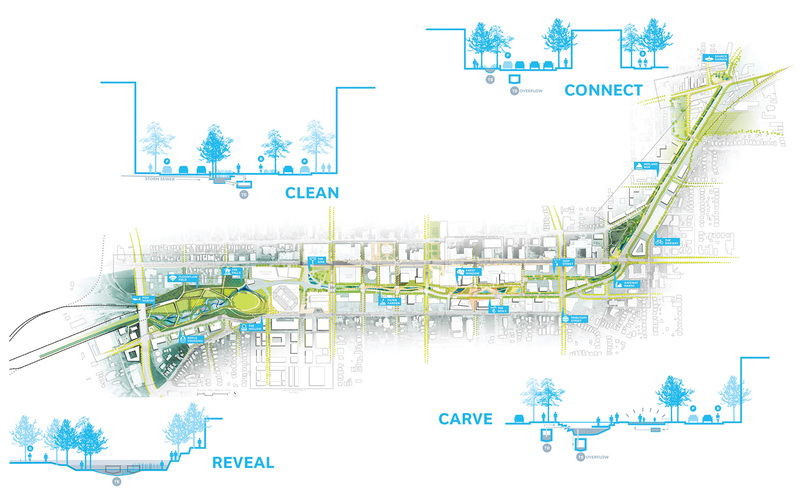 For landscape architects today, urbanism and water go hand in hand. 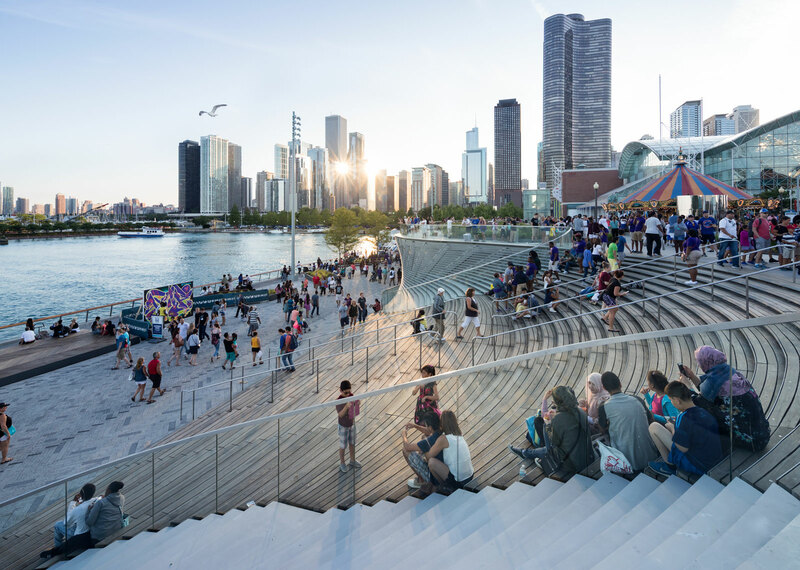 Whether dealing with issues of sea level rise, groundwater retention, or just plain old water supply infrastructure, landscape architects are working with scientists, engineers, and policy makers on increasingly bigger projects that encompass more external factors and larger networks of physical, biological, environmental, and political networks. We examine some of these water landscapes and how they relate to each other in the broader context of how resources and climate-related changes are being managed. To put these projects in perspective, we have positioned them on a grid: The x-axis runs from “not enough” to “too much” water and the y-axis posits these projects as either being rooted in necessity or decadence. Within this grid, we found a surprising variety of combinations. Here we've posted all our water-related articles from this issue. Enjoy! L.A.'s Reservoir — What will Angelenos do with a decommissioned, 45-foot-deep reservoir? 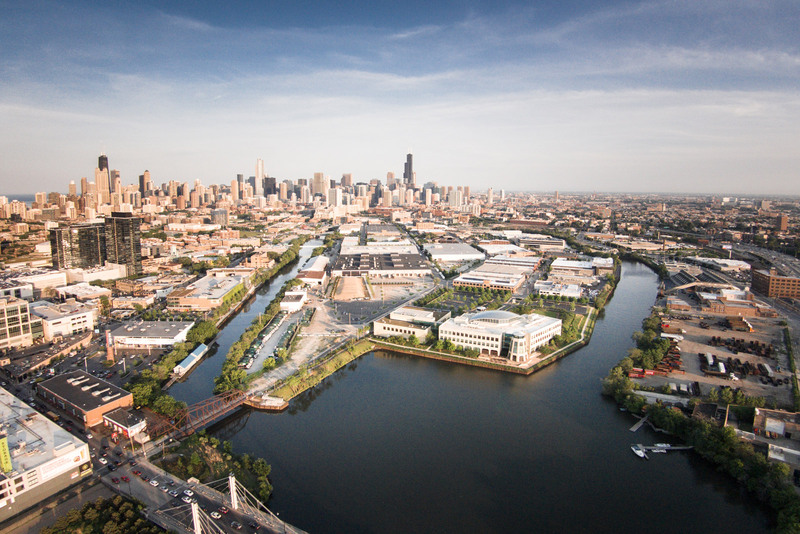 Has "resiliency" been hijacked to justify and promote development? 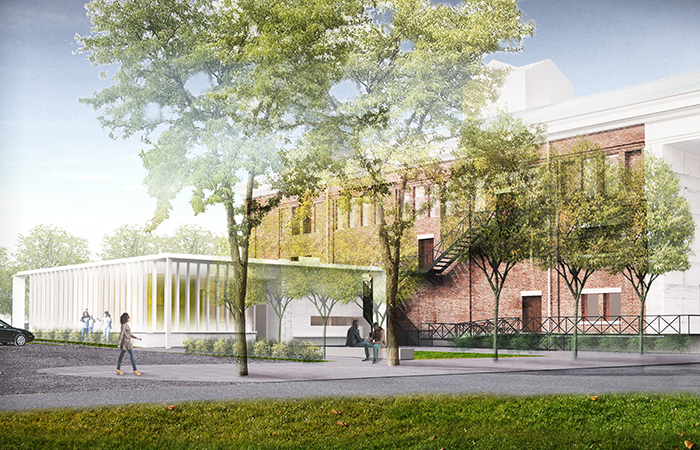 This landscape architecture firm is bringing Dutch water expertise to the U.S.
A pop-up preview of James Corner Field Operations’(JCFO) “Brickell Backyard” will be unveiled Tuesday next week. The temporary mini-gym and fitness area has been designed and installed by Miami-Dade Parks and Recreation and will provide a six-month sneak preview of what is to come for the Underline project. The event will signal the start of the Underline's first stage of development. It's the precursor to the “Brickell Underline Park," a northern section of the Underline located near the Miami River. The park aims to breathe new life into the ten-mile stretch of underused land beneath Miami’s Metrorail, transforming it into a linear park, urban trail and living art destination. 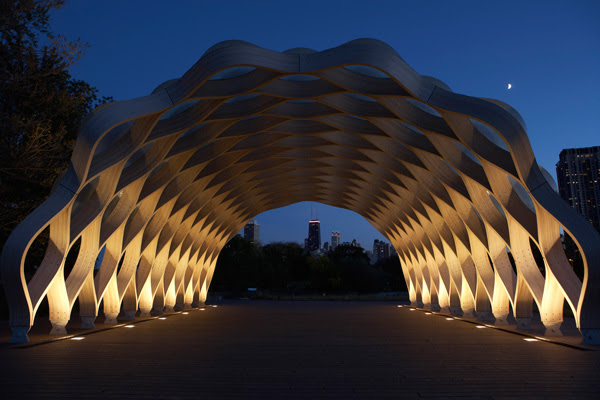 Once complete, the area will offer picnic areas, park benches, native vegetation, a nature-inspired playground, a dog park, basketball court, and art installations. In addition to this, further mixed-use parks are planned for other parts of the Underline, all of which come under JCFO’s master plan for the site. According to the Underline website, the project is "aimed at encouraging Miami-Dade residents to walk, bike or ride transit as an alternative to driving... [it] will serve as an enhanced mobility corridor, designed to better connect communities, improve pedestrian and bicyclist safety, and promote a healthier lifestyle with accessible green spaces and park amenities for exercise and relaxation." The Underline is the product of a public/private partnership among Miami-Dade Parks, Miami-Dade Transportation and Public Works, and Friends of The Underline. It also fits within the county’s wider scheme of the Masterplan Greenway network that comprises 500 miles of trails and connected public spaces. As for the Underline’s “Brickell Backyard” fitness area, funding for the pop-up gym equipment—amounting to a total of $47,000—will come from the Community Outlay Reserve Funds (CORF). We’ve all been in that moment: kind of lost, staring down a street, searching for our destination, disoriented. Maybe we ask a passerby for directions or land in the right place by sheer luck. Or we might pull out our smartphone and bring up our favorite map app, plug in the destination and boom, no need to think, just follow the directions, turn left, turn right, wait nope, make u-turn. Chances are, when we look at a map, it is for utilitarian, practical reasons, to get from point A to point B to point C. But what if we could step back for a moment and consider the maps that have served us and those before as works of art, design and technical prowess, as well as creative stories about our landscapes in their own right? Jill Desimini and Charles Waldheim, both landscape architecture professors teaching at the Harvard University Graduate School of Design, invite us to think on the wide range of aesthetic strategies that cartographers use to corral the 3-D world into 2-D. Desimini and Waldheim trace the connections and overlapping techniques between maps and plans in representing our world. “As design extends its purview and scale, it is time again to look closely at maps and plans, to uncover their logics, to mine their systems of drawing, to immerse ourselves in their beauty, and to embrace their projective qualities,” they wrote. Desimini and Waldheim believe that maps created by design professionals today—with a heavy emphasis on data and abstract information—would benefit from a return to a more detailed, grounded, concrete, approach, better connecting the data tied to our landscapes, cities, and beyond. Desimini and Waldheim make their case through a survey of historical and contemporary maps and plans, grouped by ten cartographic techniques: there is a chapter on maps and plans using contouring, another on hatching, another on figure ground, among others. Such is the wonderland of Cartographic Grounds: Projecting the Landscape Imaginary—a jewel box for mapheads and plan geeks—from James Corner Field Operations plan of the San Juan Botanical Gardens, to the shaded relief in the late Zaha Hadid’s Blue Slabs painting of the Hong Kong Peak Leisure Club project to an Edo-period map of Tokyo with detailed information on ownership and social occupations. Desimini includes her own studies too: One, her figure-ground study of the Barcelona Eixample grid with octagonal city blocks planned by Ildefons Cerdà, takes on an almost deconstructed stained-glass effect. 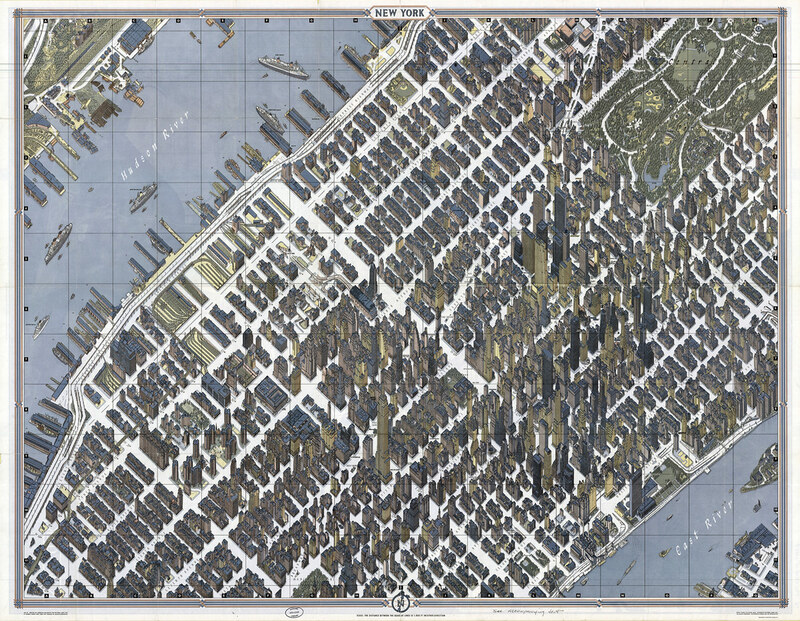 The maps, plans, and drawings are immersive, zoomed-in, and up-close. “There are no drawings of the globe or even a continent in this volume,” Desimini and Waldheim said. But they also elaborated that, “The scale of many equate to the scale of human occupation. It should be acknowledged that this level of detail is a privilege. Accurate surveying and high-resolution data are expensive…products of wealthy nations, either mapping their own territories or those of colonial interest. There is, and always has been, a correlation between power and the availability of geospatial data.” This left me wanting to know more about these social, economic, and political forces that shape these representations—not just what these maps, plans, and drawings choose to show, but also what is left out or minimized. Who benefited? “Maps are too easily mistaken for objective depictions of a geographical condition, and their complexity often obscures the fact that they are, in fact, distortions. Their uses, limitations, and subjectivity must be understood and respected,” Desimini and Charles Waldheim wrote. Their observations—delivered through chapter introductions and image captions—are instructive rather than interpretative. The text is filled with detailed descriptions of a wide range of mapping techniques, but leave much of the meaning up to the reader. For the curious, it can prompt a chase down the rabbit hole looking for further context and information. Desimini and Waldheim’s investigation into key cartographic features that they argue is the foundation of urban design, landscape design, architecture, is compelling. “Often as a foundation to intervention, the map—whether it is of networked relationships or a geographically precise location—precedes the plan.” They look at what lies between the realities of our landscapes, built environment, and the human intervention of ideas. It comes at a time when we look to maps for answers, data, maybe even knowledge. Desimini and Waldheim want us to ask more of our maps, our data visualizations, and our plans. Their book prompts several questions: Are these techniques enough? Do we need better, different ways of approaching the translations between geography and landscape, map and plan? In the end, beyond all of these numbers, figures, lines, and cross-hatchings is a person, the cartographer, mapmaker, designer, and creator.